Steamboat Arabia: A Historian’s Blog: "Sweet Pickles, Wells, Provost & Co. 215, 217 & 219 Front St. Wholesale Depot, New York." "Sweet Pickles, Wells, Provost & Co. 215, 217 & 219 Front St. Wholesale Depot, New York." The glass jars of pickles in the Arabia Steamboat Museum are something to see. It was a miracle they survived and visiting the museum, you can find out why. "With the darkness closing in, we hoisted the day's final box from the cargo hold and gently set it on the main deck. 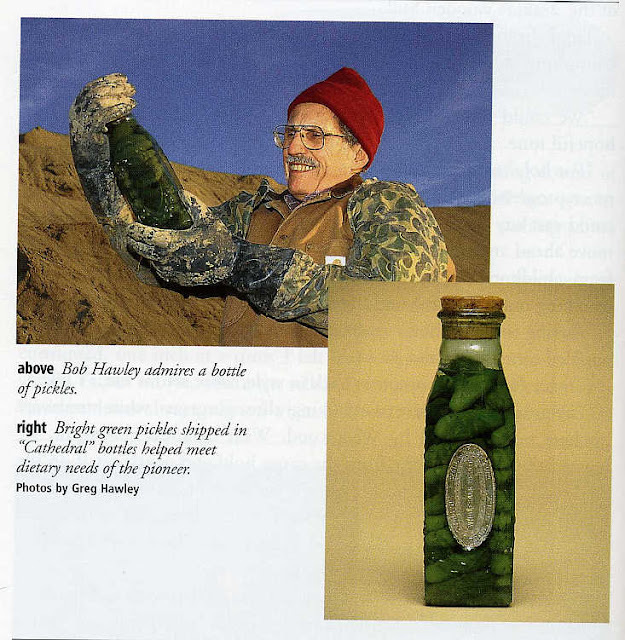 When we lifted the lid, we discovered beautiful "Cathedral" bottles containing bright green pickles. Each bottle carried an oval label made of lead foil which read, "Sweet Pickles, Wells, Provost & Co. 215, 217 & 219 Front St. Wholesale Depot, New York." Just how were sweet pickles made? 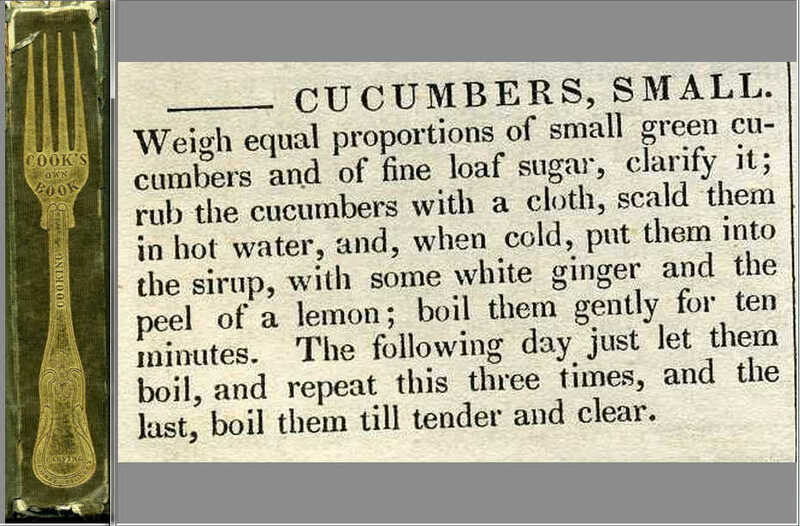 For the answer I went to my library and pulled out my 1851 cookbook, Cook's Own Book and found the recipe below. Although this recipe was intended for the family cook, it was most likely the same as the mass produced jar above. Even then, people were looking for convenience. The recipe calls for fine loaf sugar. 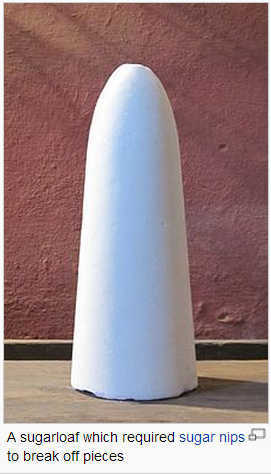 Unlike today, when we buy granulated sugar, people then bought their sugar in cones or loafs. The recipe says to use fine loaf sugar, here's a refined white cone made of dark molasses (raw sugar cane). I found another free google book The Chemical News and Journal of Industrial Science 1919 and although this book comments on the sugar industry in England factories in 1854, I learned sugar was made either from sugar cane or beetroot (better known as Sugar Beets that contain a large amount of sucrose). 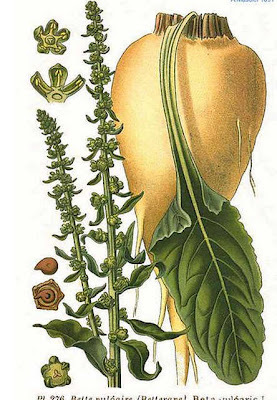 Many thanks to Wikipedia, I can show a stretch of the sugar beet and the sugar loaf. 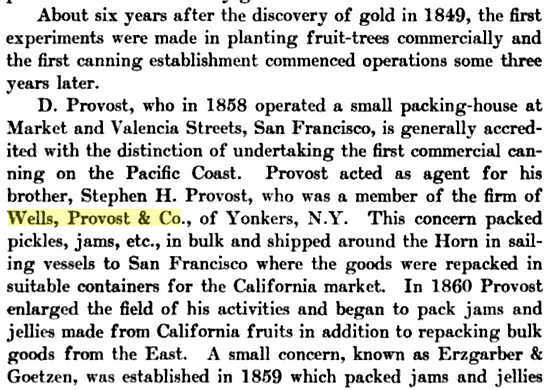 I was happy to find out a little more about Wells, Provost & Co. too. 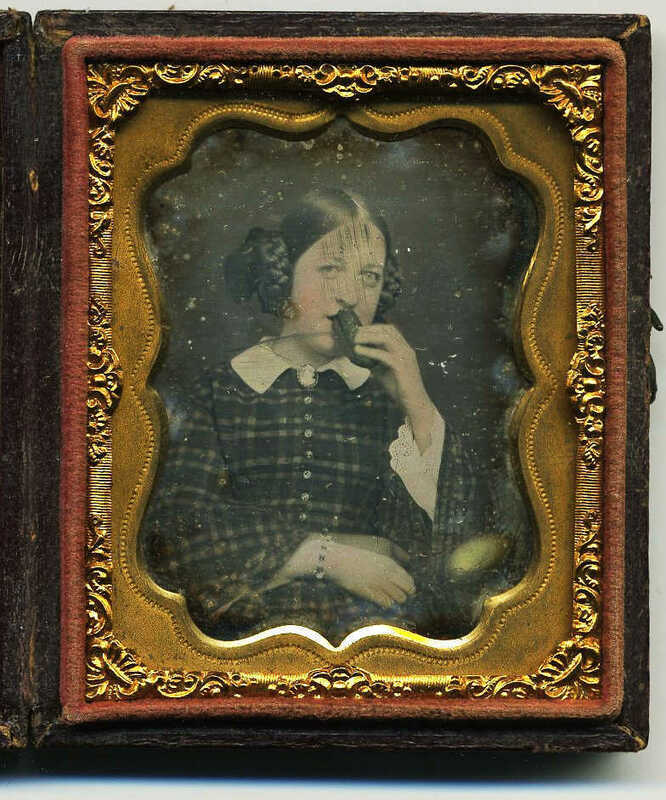 The California Digital Newspaper Collection has online newspapers dating as early as 1846 to present and in the edition Daily Alta California, Volume 6, Number 132, 25 May 1855 — COMMERCIAL. [ARTICLE] reports that this firm is importing goods into San Franciso before the Arabia sank. "At private sale we report the following: 400 dozen assorted Pic Fruits, 100 cs hf gallon Brandy Peaches, 396 ct hf gallon Pickles, all on private terms; and at auction the following lots of fresh goods, packed by Wells, Provost &. Co."
Business was so good that Wells, Provost & Co. sent their product in kegs and barrels in 1858 and bottled there. 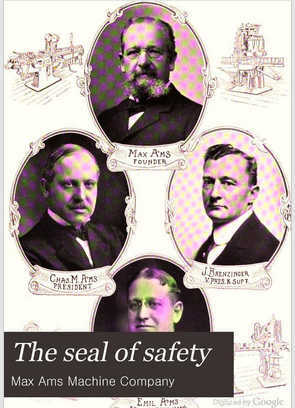 By 1860, they opened their own cannery since the fruit trees were old enough to bear fruit (The Seal of Safety page 27). Who would ever believe this glass jar holds so much history- So next time you're having a sandwich, you have lots to say to your friend about that pickle laying on your plate.